It’s official. Anna Wintour has reached the Mt. Rushmore of Fashion: she is now immortalized. There is no question that Anna has been preparing for this moment her whole professional life. And after a $40 million facelift (that took approximately three years), she is ready for her close up. And no, I’m not referring to Anna Wintour herself (though she IS looking especially refreshed these days - even foregoing her signature shades). I’m talking about the Anna Wintour Costume Center. 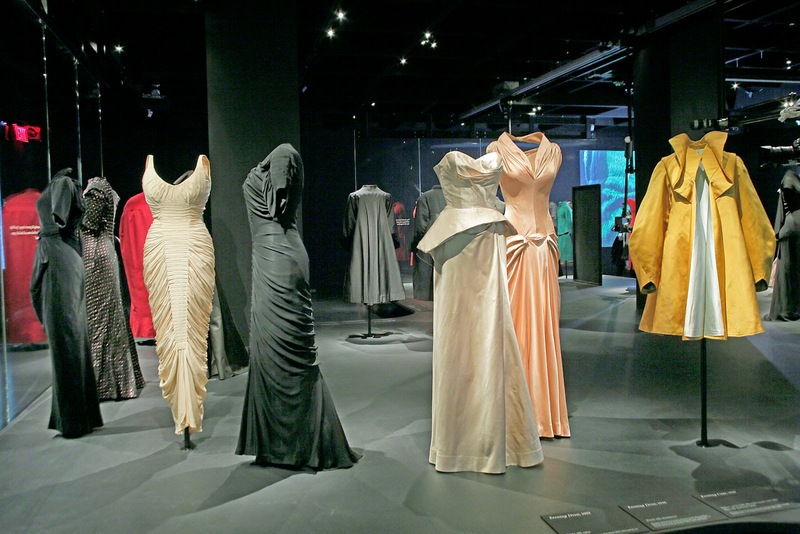 There are many ‘Firsts’ surrounding the Metropolitan Museum of Art’s AWCC (http://www.metmuseum.org /) and its attending inaugural exhibition, Charles James: Beyond Fashion. Where to begin? 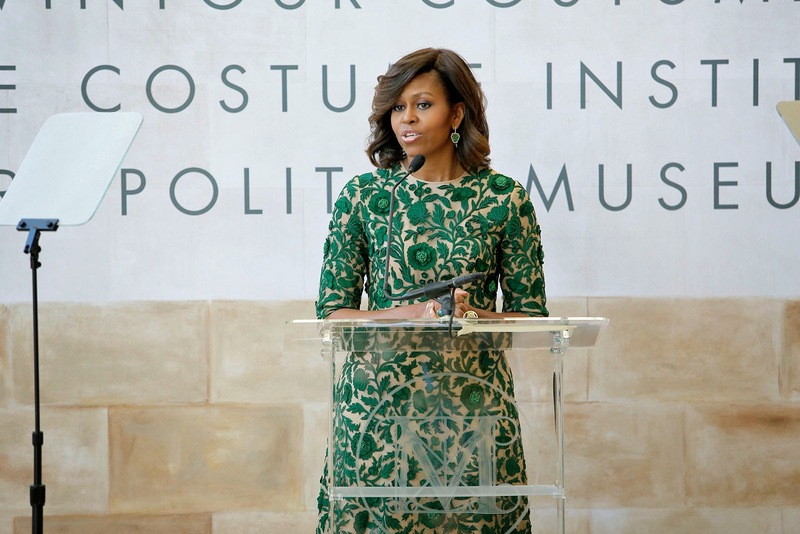 It’s the first time a First Lady has attended the traditional Monday morning press preview (yup, Michelle Obama was on hand, looking like the essence of Spring in a Naeem Khan embroidered green floral dress). But, then again, it was hardly your average garden variety press preview (unless you want to refer to it as a "Wintour Garden Variety"). It’s the first time it was not just a press preview but a ribbon cutting, which explains WHY Mrs. Obama was there AND the unusual pomp and ceremony. 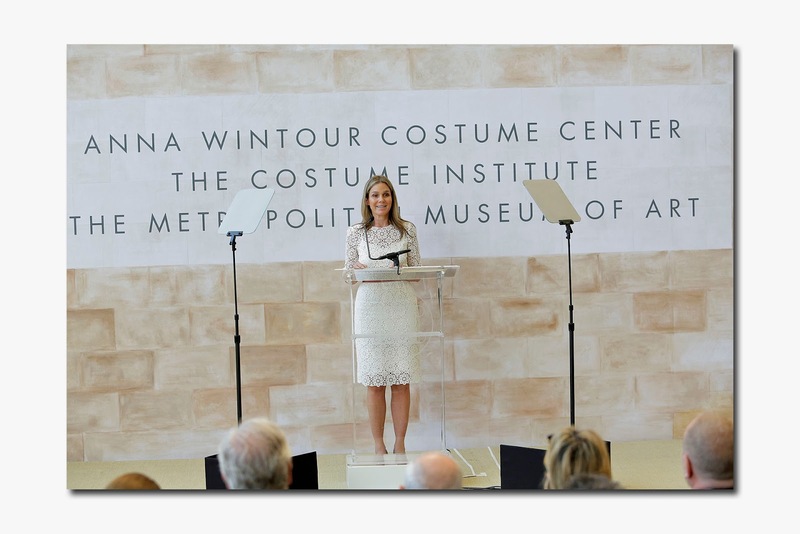 Mrs. Obama not only cut the ribbon to officially open the Anna Wintour Costume Center, she also spoke at the ceremony (along with the museum’s Director and CEO Thomas P. Campbell, Aerin Lauder, whose company, Aerin ,is sponsoring the exhibition, and Curator in Charge, Harold Koda). Others in attendance at the glorious Temple of Dendur for the morning festivities (it was positively resplendent in Cherry Blossoms), were U.S. Representatives Carolyn Maloney, Jerry Nadler, and Manhattan Borough President Gale Brewer. Not to mention what looked like a "who’s who" of fashion. Designers from both the Old Guard and the New Guard mingled over coffee, fresh juice, croissants, and came to pay their proper respects (I half expected to see people kissing Anna’s ring but thankfully, that did not happen). Everywhere I looked I saw Ralph Lauren, Tommy Hilfiger, Alexander Wang, Vera Wang, Carolina Herrera, Michael Kors, Diane Von Furstenberg, Donatella Versace, Zac Posen, Rodarte’s Mulleavy Sisters, Gilles Mendel, Donna Karan, Calvin Klein, Olivier Theyskens. There were also plenty of Vogue and Conde Nast editors (Amy Astley, Grace Coddington, Tonne Goodman, Linda Wells). More firsts: this is also the first time the Metropolitan Museum of Art has named a space after an individual who has not donated money. 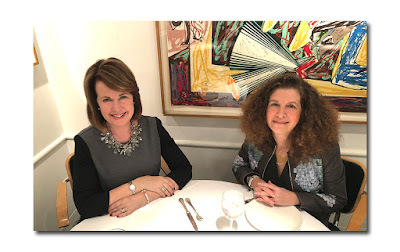 Quite a coup for the Vogue editor-in-chief who has raised approximately $250 million for the Costume Institute and who, over the past year, had Conde Nast Editorial Director added to her impressive resume (a position created solely for her). While Anna Wintour, (arguably the most influential person in fashion), bestowed the title, "First Lady of Fashion", upon Michelle Obama, when she first put her on Vogue’s cover, it is she who undeniably holds that esteemed title. Anna certainly knows what she wants and she always gets her way, and this year, to ensure that Monday evening’s Costume Ball (it’s her party after all) would be better and more memorable than ever, she mandated all male guests to wear “white tie and decorations” making it the first time there was a mandatory dress code for that high profile soiree. (I guess you can refer to Monday May 5th as Decoration Day). 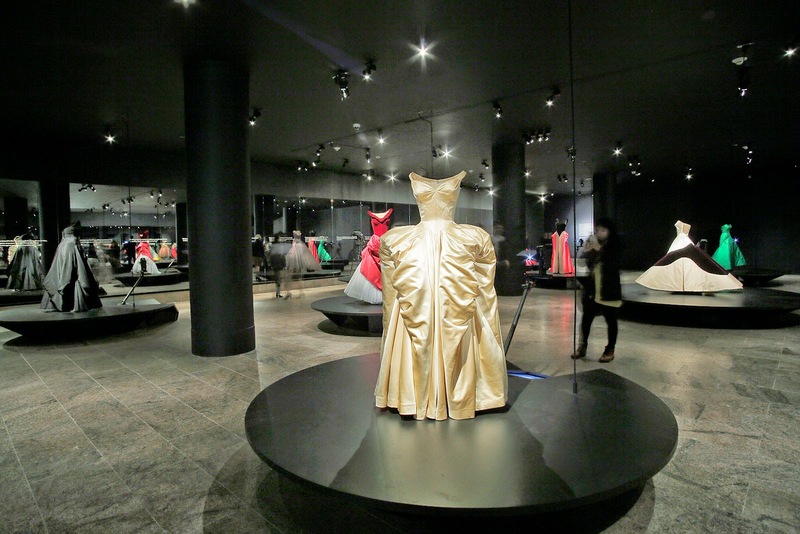 Charles James approached his sculptural designs with a scientific and mathematical precision (he was “an architect every bit as much as he was a designer” in the words of curator Harold Koda), And so, instead of having a set designer create the exhibition, for the first time, the Met hired an architectural firm, Diller Scofidio & Renfro. (The firm is designing an expansion of the Museum of Modern Art.) And, for the first time, the exhibition, comprised of approximately 75 of Charles James’ most “notable designs” (though there is an entire gallery filled with superbly tailored daywear, the highlight are undeniably the amazing ball gowns from the 40’s and 50’s) is being presented in not one, but two locations: the new Lizzie and Jonathan Tisch Gallery in the Anna Wintour Costume Center, and in the special exhibition galleries on the Museum’s first floor. The use of video animations (which clearly illustrate how James was able to painstakingly reconfigure the female form with his sculpted and anatomically considered designs), was especially effective: given the fact that as unbelievable as they are, let’s face it, voluminous ball gowns seem more than a little out of step with today’s modern life, especially urban life. And in our cramped NY apartments, who has the closet space to house these beauties other than Jean Shafiroff LOL? 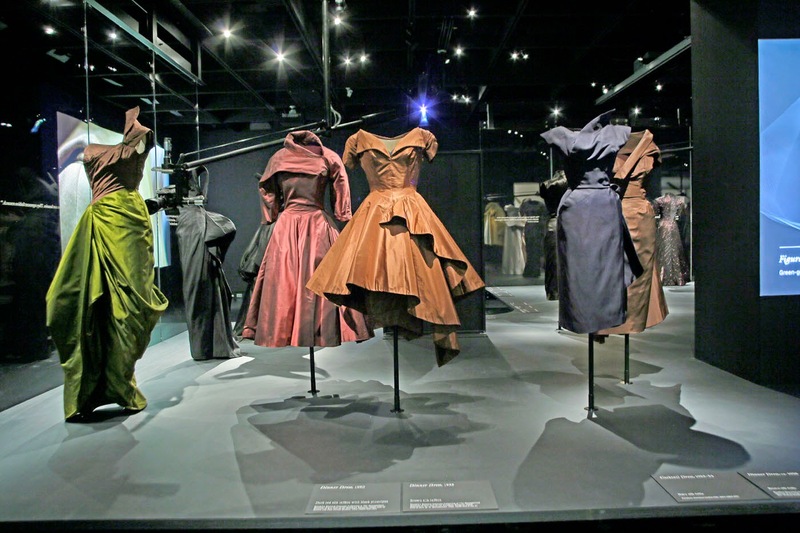 Quite frankly, I’ve been wondering how the Met will even be able to accommodate all those those Charles James- like gowns worn by attendees of the Gala on Monday evening! 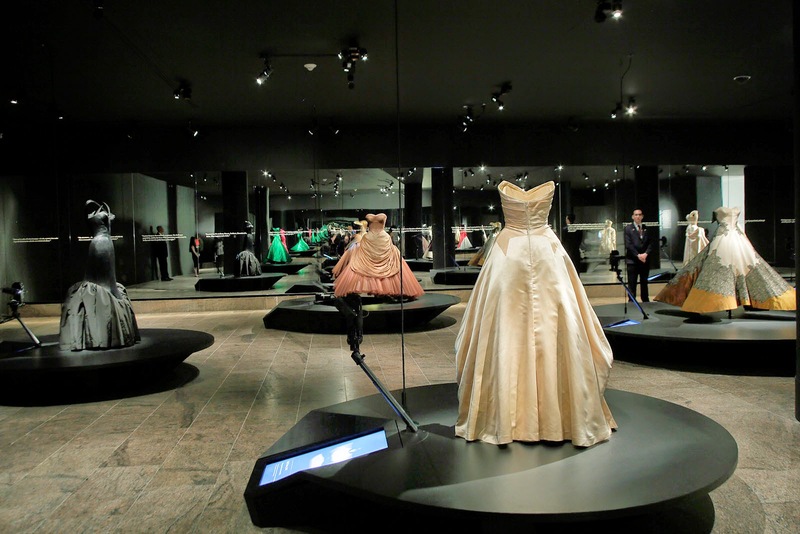 Though on second thought, maybe this exhibit will start a ball gown resurgence. Thomas Campbell: “Fashion is many things. Expression, identity, reflection, catalyist, armor, muse. It is an art form to be sure. But one that has a distinctive relationship with its audience. This morning, we’re in the company of a few people who know the power of dress, not the least of whom is our very special guest, the First Lady, Michelle Obama. Our clothes punctuate a much larger conversation about who we are and how relevant our history is at the present. Charles James brought a whole new dimension to that dialogue. He was a sculptor, an engineer, an artist . 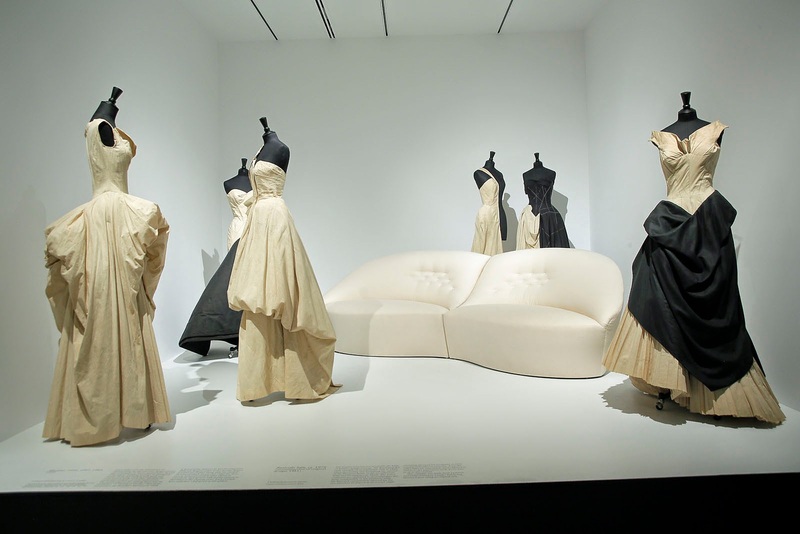 When Harold Koda proposed Charles James as the opening ,subject of this exhibit, I was immediately sold on the idea. Harold Koda and co curator Jan Reeder worked closely with the architectural firm Diller Scofildio & Renfo to show us fashion as we have never seen it before; amplified and analyzed in ways that will engage and enlighten every visitor. 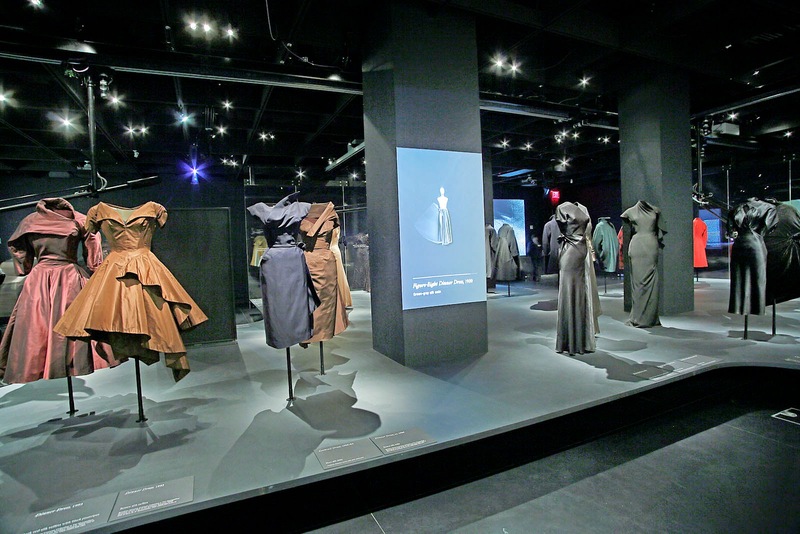 The new Anna Wintour Costume Center not only includes this innovative exhibition area but also holds the Costume Institute’s library, conservation lab, a seminar room, and collection storage. All designed to accommodate and inspire the next generation of design students, some of whom are with us today (there was a group from FIT along with President Joyce Brown). There is nothing more satisfying than seeing a group of students captivated by a collection and the work of our curators”. 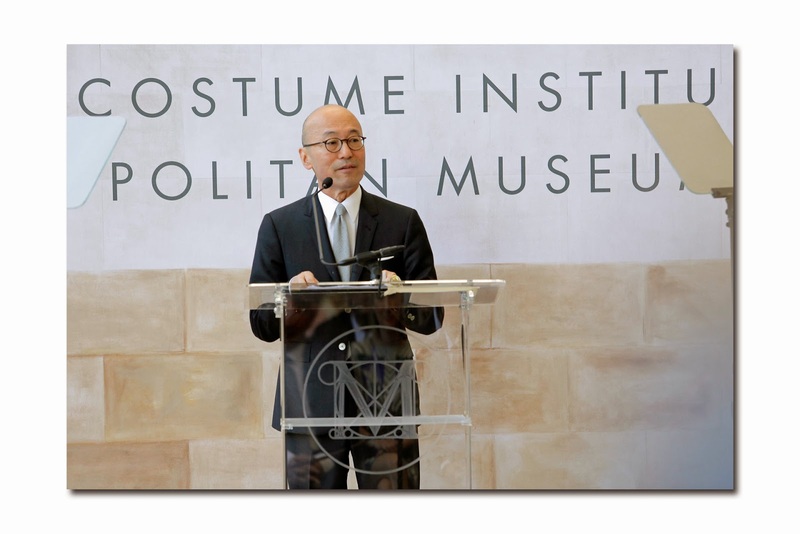 Harold Koda curator in charge of the Costume Institute: There are very few things that costume curators crave and all of them have been made possible because of Anna’s passions. We have wonderful new galleries, a conservation area that has been revisited, research center, and the opportunity to communicate to the next generation of students and scholars, which we feel is an important element in their evolution as students in a wider way”. “The new Anna Wintour Costume Center achieves a comprehensive revisiting of all the needs of the department. Named in honor of Anna who has been our extraordinary advocate for all these years, she has never wavered in her enthusiasm for our efforts and has always supported our work. Today is really a tribute to Anna. The new Lizzie and Jonathan Tisch Gallery is more up to date with technology and allows us to explore different ways of investigating what we think of as the art of fashion”. 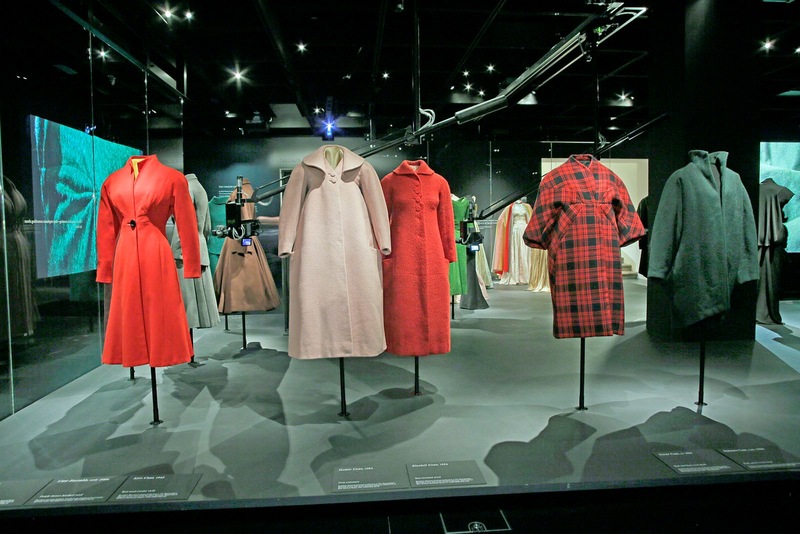 “It is fitting to inaugurate this new space with a show devoted to Charles James, an idiosyncratic original, because he is an artist who happened to work in the medium of fashion. One of his early achievements was a down jacket but in typical fashion, he made it in satin and eiderdown and used it for evening. He also earlier designed a little wrap dress that he called The Taxi Dress because he envisioned a woman being able to put it on or take it off in the back of a taxi. Clearly a mischievous provocateur, but also a man very definitely ahead of his time. With my co-curator Jan Reeder and and my collaborators we’ve attempted to reveal the distinctive quality of the James approach. James was someone who engineered the hidden physics of the dress even though he was remembered for the glamorous surfaces. We believe that the public will leave with the understanding of his great innovations because of the vocabulary of analysis. For James, it was always a work in progress. It was Diana Vreeland who said James would rather keep working on a gown than actually see it going to a party. Happily for the Costume Institute, we are ready for the party! Our hope for the New Center is to convey James’ belief in fashion as art and realize its create inspiration”. 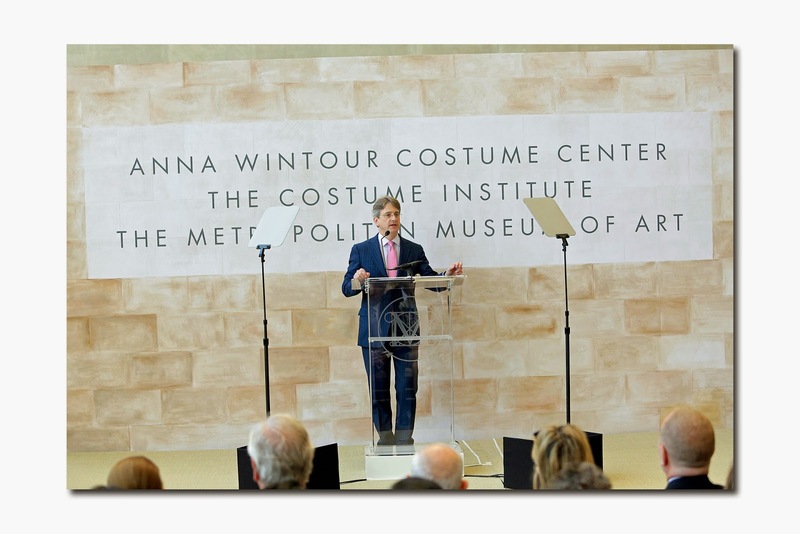 “It is truly a pleasure to be here today to inaugurate this brand new center in honor of our friend Anna Wintour. And I want to thank everyone for their hard work which made this day possible. Especially Anna herself. I know that Anna hates being the center of attention so this is probably killing her but we love it. The truth is, I’m here because of Anna. I have such respect and admiration for this woman who I’m proud to call my friend. 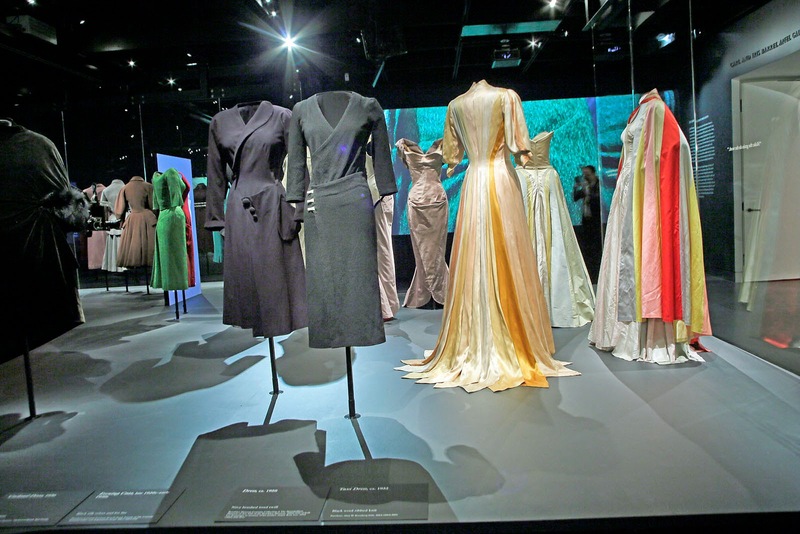 And I’m here because I’m so impressed not only with Anna’s contribution to the fashion world, but to the many causes she shares and cares about, especially this American Museum”. “And after seeing this exhibit, maybe they’ll explore other parts of the museum and get a greater appreciation for our history and culture. So for our young people and for people of all ages, this center will be a source of learning and exploration and a gateway to so much more. So I think it is fitting that it bears Anna Wintour’s name because that is who Anna is and that is what she’s about. She is one of the most powerful leaders in the fashion industry. She’s one of the most powerful women in any industry for that matter. And that alone is such a singular accomplishment. But she has never been content to achieve greatly only in the fashion world. She has always used her power for so much more. Working tirelessly to end HIV Aids; to create Fashion’s Night Out to boost the economy; her incomparable efforts to support the Met. She has sought the spotlight not for herself but for the people and causes she believes in. And today Anna and I are actually working on an idea to bring students to the White House to work on a Fashion Workshop. My message to the young people today: You’re here because we want you to dream bigger. We believe in your promise and we know if you commit to your education if you have the courage to fail and fail again until you succeed, one day you might be like the legendary designers who are here today. 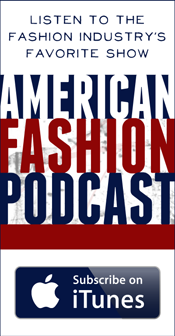 One day you could be a leader in the fashion industry or any industry you choose. I hope you can be an inspiration multiplier like Anna so we can create more days like today. I think Anna said it best. When asked what power means to her, she said “it’s a wonderful opportunity to help others”. We are grateful for all you have given back and to see your name on this wonderful center. And so with that, it is my pleasure to cut the ribbon”.